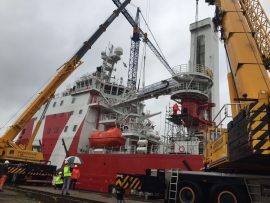 Ulstein Verft has contracted Uptime International to deliver its 30m access solution for the new service operation vessel (SOV) that will operate at the Merkur offshore wind farm in Germany. 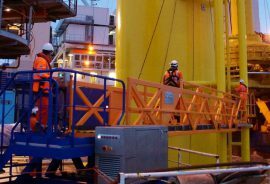 SMST has won a rental contract to install its motion compensated gangway on Olympic Subsea’s multipurpose offshore vessel, Olympic Taurus, which will assist during the installation of jacket foundations at the East Anglia ONE offshore wind farm. 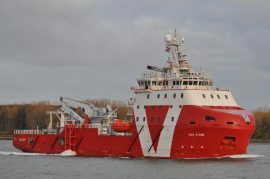 VOS Stone, Vroon’s latest addition to its subsea-support walk-to-work (W2W) fleet, will be mobilised with an Ampelmann A-400 gangway system. 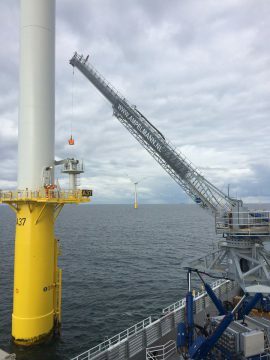 Jumbo’s Heavy Lift Crane Vessel (HLCV) Fairplayer is now installing transition pieces (TPs) at the Arkona offshore wind farm. 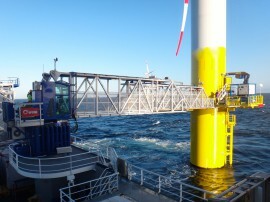 The vessel was outfitted with an SMST gangway shortly before the works started in early November, according to SMST. 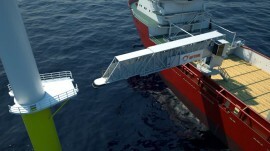 Ampelmann has enhanced its E1000 gangway transfer system to speed up conversion from personnel to cargo mode from at least ten minutes to less than one minute, providing greater operational efficiencies. 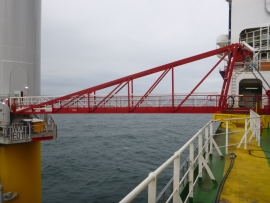 Ampelmann and Seaqualize have established a partnership to develop a new full scale balanced gangway prototype to be tested offshore. 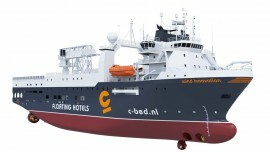 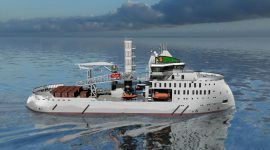 Vroon’s offshore support vessel VOS Start has become the first vessel to feature a new motion compensated gangway launched recently by Barge Master and Bosch Rexroth. 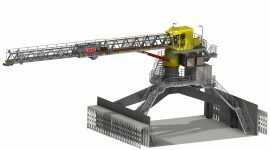 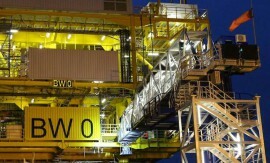 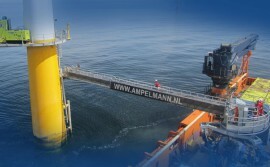 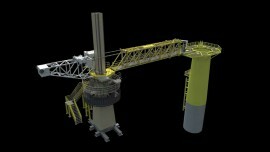 Ampelmann has announced the launch of its latest gangway for personnel transfer: the A-type Enhanced Performance (AEP). 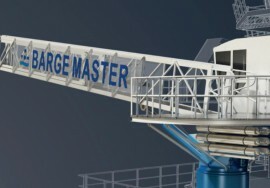 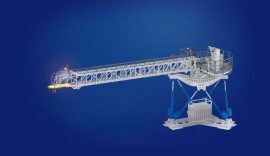 Holland-based Barge Master and Bosch Rexroth have jointly introduced a new motion compensated gangway to the offshore wind market. 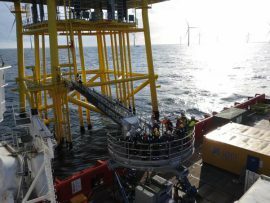 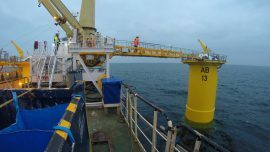 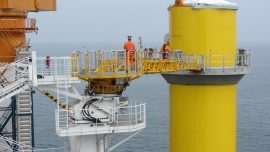 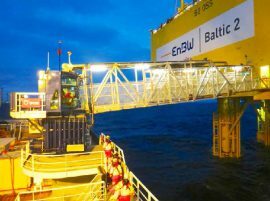 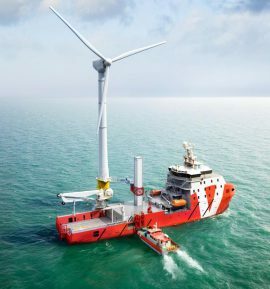 Multi-role platform supply vessel VOS Prime has mobilised an Ampelmann ‛A-type’ gangway system and engaged in walk-to-work operations at the offshore substations on the 600MW Gemini wind farm in the Netherlands, Vroon Offshore Services reports.